PICK YOUR OWN « Boyer Nurseries and Orchards, Inc. 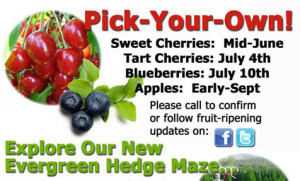 PICK YOUR OWN – Boyer Nurseries and Orchards, Inc.
Stop by the market in mid-June to pick your own cherries and late-June to early-July for blueberries. Later in the season, you’ll be able to pick your own apples. If you’re coming from a distance, please call first for availability (717-677-8558) or check our website. Don’t forget to bring containers to take your harvest home. Cash, check, and all forms of credit cards accepted. Our picking hours during u-pick season are Monday thru Saturday, 7:00 am to 4:30 pm and Sunday, 11:00 am to 4:30 pm. 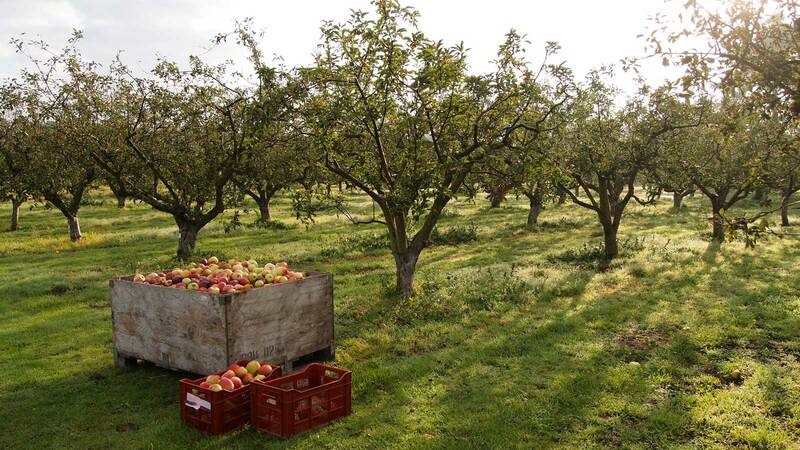 PICK YOUR OWN APPLES – $0.75 / lb. Varieties available now: Fuji, York Imperial, Golden Delicious, and Winesap. Granny Smith is a later apple that will usually be harvested near the end of October. We offer U-Pick everyday! Monday – Saturday we are open from 7am-5pm, and will close the U-Pick Down around 4:30pm daily. Sundays 12pm-5pm, again closing U-pick around 4:30pm.